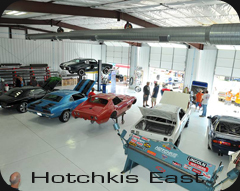 Hotchkis Performance is led by John Hotchkis Jr, a performance aftermarket veteran with over 35 years of experience in the racing and performance industry. 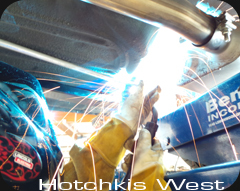 Having driven professionally in races as the 24 hours of Le Mans, 12 Hours of Sebring and the Daytona 24, his driving and testing knowledge has been vital to the handling, control and rides solutions of Hotchkis Sport Suspension. 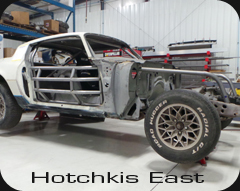 He founded Hotchkis Performance in 1993 to design and manufacture performance suspension components for performance vehicles. 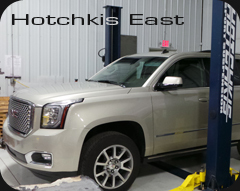 Hotchkis is proud to offer enthusiast customers complete driving and fabrication solutions. From simple bolt-on applications to full custom fabrication our experienced technicians have seen it all. 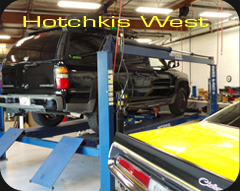 This is a one stop shop for all of your Performance Upgrades. 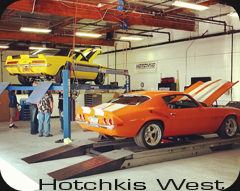 Our Passion for cars has driven us to open the Hotchkis Speed Shop to provide you a place to have reliable/quality work done at a reasonable price. As part of the services we provide; we offer a Build Consultant to every customer of the Speed Shop to help you get the right parts for the right price. Call us today and speak to a Build Consultant to get your Project Started!